Published 11th February 2019 at 400 × 300 in Dogs Looking for Homes. ‘Bramble’ 4 year old Female Jack Russell. 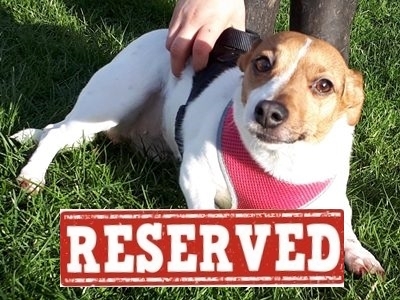 Bramble is with us as she was becoming increasingly jealous of the young child in the home and her owner was unable to give her the time that she needs. We have found her quite a happy, bubbly dog but because of what we’ve been told we won’t be rehoming her with very young children.